Is your basic first aid kit missing anything? Unless you're spending over $100 on a First Aid Kit, it's likely got a few things left out. Here's our list of add-ons to really make a complete kit for your emergency GoBag. In case of a really deep cut, bandages help to keep the wound clean, but you'll need clotting powder to stop the bleeding. We recommend having more antibiotic ointment on hand. The basic kit we recommend doesn't come with eye wash, and this can be crucial in the event of dust, debris or smoke getting in your eyes. 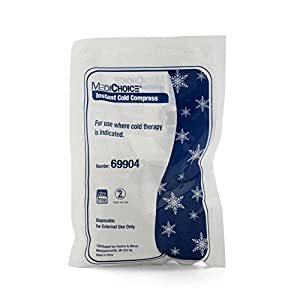 In case of a twisted ankle or sprain, an instant cold pack or two is a great thing to have. And then an elastic bandage to support the joint, Finally, a really good tourniquet is a must. Plus these are really good to have on hand in your car Go!Bag or to take with you hiking or camping. We spent hours reviewing materials from FEMA (the US Federal Emergency Management Agency), the Red Cross, the Humane Society as well as a host of other government and non-governmental organizations to put together the checklist of necessary items. We then spent many more hours reviewing products. We look for quality, completeness without overkill, high customer ratings, and price. We read the customer reviews and note their experience. And of course, these are the items we personally bought.